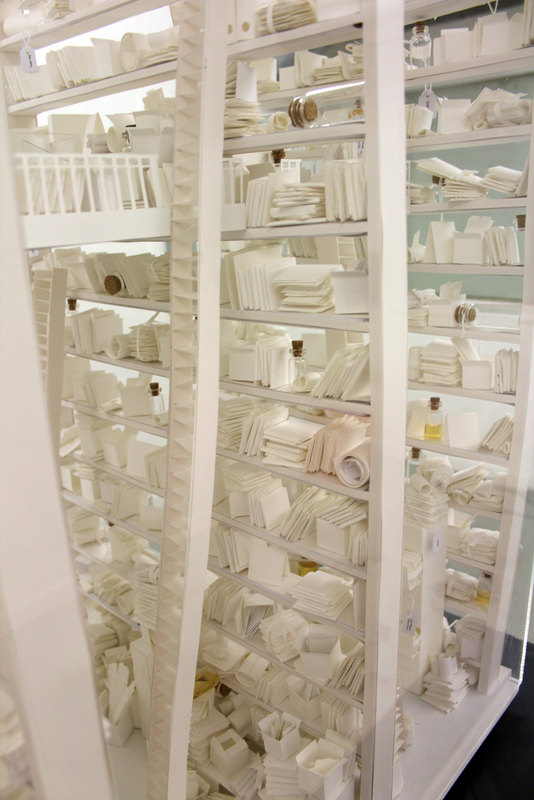 If Borges’s Library of Babel is a massive, amorphous store of written documents, Jonny Love’s Unconcious Library is the opposite. Although it houses over 100,000 books, ladders, and scrolls, it contains virtually no concrete information. 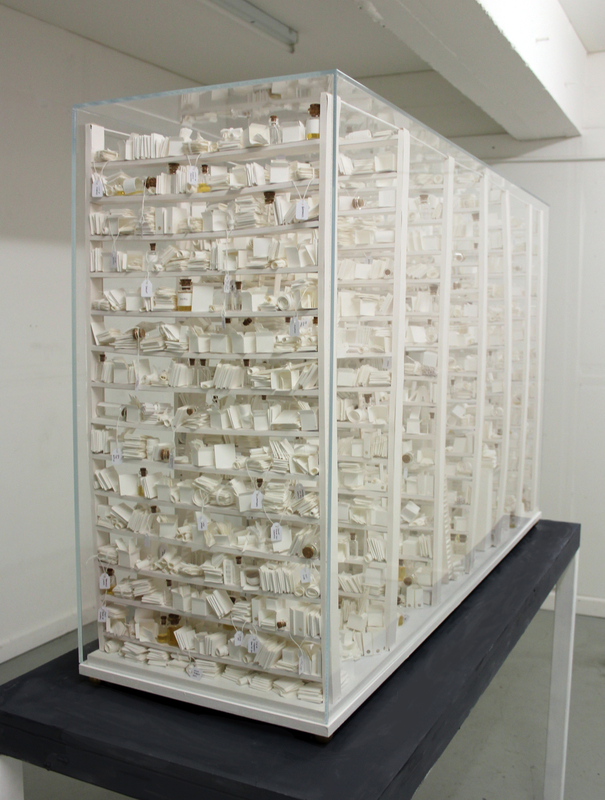 Instead, its model stacks, constructed from folded and cut paper, are all completely blank. Aside from a few labels -- "One night stands," "Windows 98 documents" -- the library is textless. What Love has built is not a house of words, but an homage to the words we've created, said, or heard, but have since forgotten. 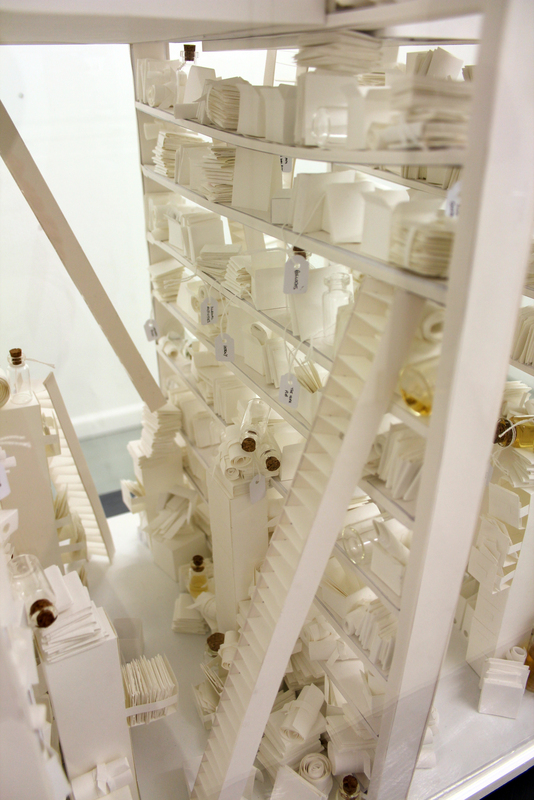 Before constructing the library, Love had already completed a series of models that attempt to physically represent the feeling of procrastination. 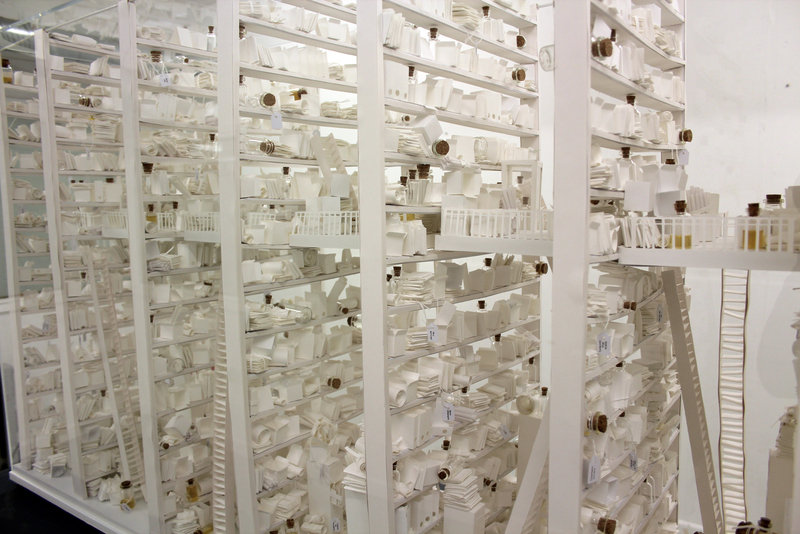 His earlier sculpture, "The Archives," is meant to visualize a shelf full of books that a reader intends to read, but hasn't gotten around to yet. But after piecing together the details of a night of heavy drinking, he realized the same concept could be expanded to include other subconscious thoughts. “Those vague clues, wobbly memories and forgotten antics could be recorded and stored,” he said. The process of “storing” these memories involved a year’s worth of folding and cutting paper -- a process that Love says will “never be considered finished.” The tactile nature of the construction allowed him and his co-creator Samuel Jordan to focus not on the task at hand, but on meandering streams of thought, such as a book they were reading or a letter they wanted to write. “I would say around half of the pieces were made in this unconscious level,” Love said. And, while libraries themselves aren't going anywhere anytime soon (other than online), it's true that each is a carousel, rotating in and out the information we find valuable at the time, disposing the quiet and supposedly irrelevant.